Do you own Samsung Guru Plus B110e? If yes, then you need to download the Samsung B110e usb driver in order to connect it to your computer. It is also known Samsung duos guru, as it support dual sim. In this article, you will find the required driver for your Samsung B110e mobile. Just follow this article and you are good to go. 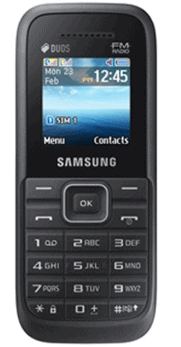 Samsung b110e is a small beautiful design phone which adjust in your pocket like keys. The phone has a small display of 1.5 inches supporting resolution of 128×128 pixels. The connectivity medium of the phone include FM Radio and USB. It is powered by Li-ion 800 mAh battery.